On February 1, at 7PM, as part of the Armed and Dangerous project, artists and authors of series will discuss the video-series project. During the event, there will be a discussion with the participants of the project Armed and Dangerous. 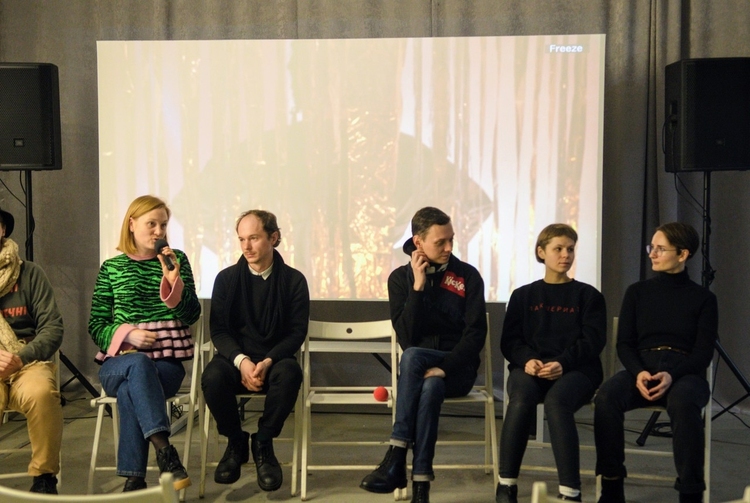 Artists will tell more about their own works, about the course of events during the filming and will talk generally about the problem of the growth of right-radical views in modern Ukrainian society. Piotr Armianovski is a performer and director. He studied under Yevhen Chystoklietov, Marina Abramović, Janusz Bałdyga. He is a winner of DocudaysUA Film Festival and Open Night in Kyiv, MyStreetFilms in Slavutych; a participant in the exhibitions Ukraine: Learning from a Good Neighbour 1918-2018, Passenger in TonHalle, Munich (2018), Permanent Revolution, Museum Ludwig , Budapest (2018), Olympics-1984 in Donetsk, Visual Culture Research Center, Kyiv (2016), and others. Elias Parvulesco is a film director and researcher. 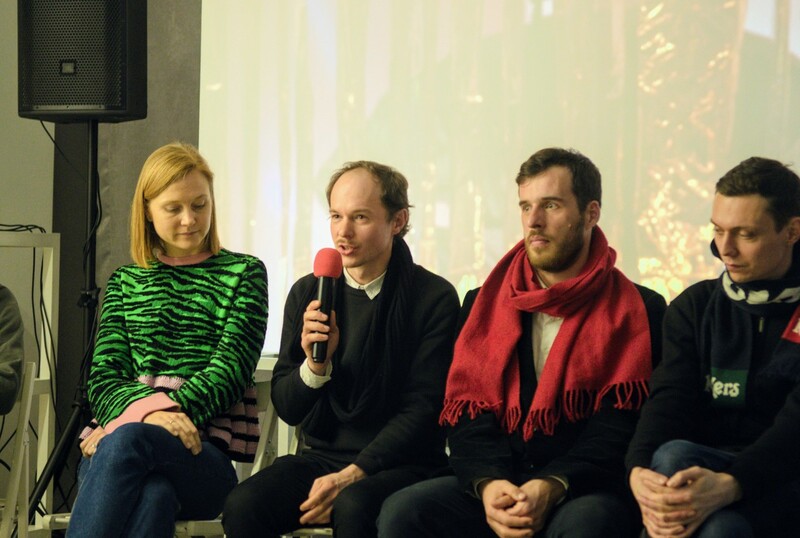 He is the creator of the films dendro dreams (2018; together with Teta Tsybulnyk), ATOMOPOLIS. Assembling Utopia (2016; together with Stanislav Menzelevskyi and Anna Onufrienko), The Pink Map (2016), and others. His works were shown at the Ji.hlava International Documentary Film Festival, the Kyiv International Film Festival Molodist, the Gray Cube Exhibitions, the Visual Culture Research Center, Kyiv (2018) and Today We will not Meet, Closer, Kyiv (2015), and others. Oksana Kazmina is a director of documentary films and an artist. Together with artist Anatoly Belov, she founded a project about physicality, Body Practices. 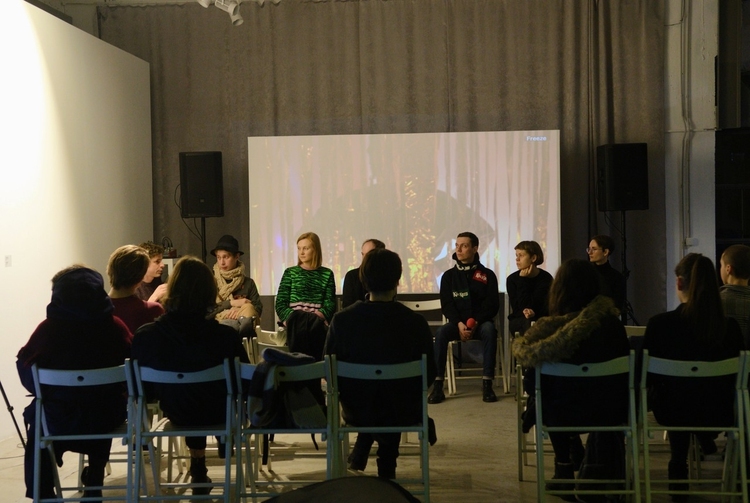 Together with artist AntiGonna, she has founded collective OKCAHAS. The collective’s work considers female physicality and sexuality. With their film Zarosli, the collective participated in the Pornfilmfestival Berlin, the Queer Woche Festival in Leipzig, the Tel Aviv Queer Film Festival and the Antwerp Queer Festival. Oksana Kazmina participated in the exhibitions A Space of One’s Own, PinchukArtCenter (2018), Kyiv International - Kyiv Biennial Kyiv School (2015), Odessa Biennale (2017), and others. 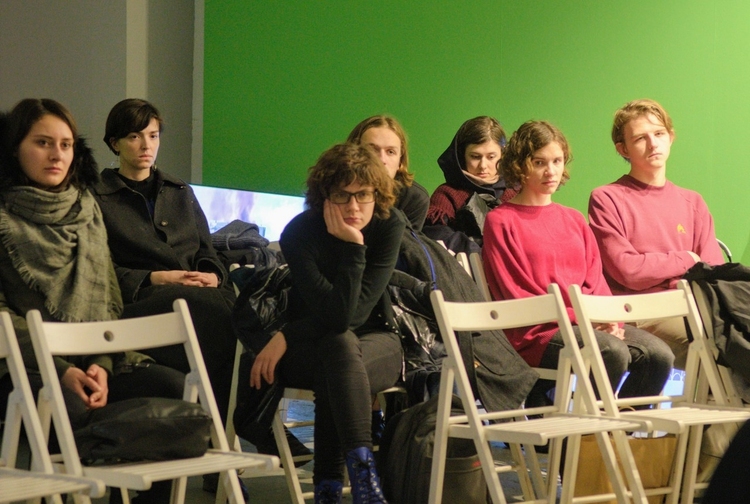 Alina Kleitman is an artist working with video, installation and sculpture. She participated in the exhibitions A Space of One’s Own, PinchukArtCentre, Kyiv (2018), Permanent Revolution, Ludwig Museum, Budapest (2018), Riga Photo Biennale (2018). Oleksiy Radynsky is a documentary director and publicist. He is a member of the Visual Culture Research Center. His films were presented at the festivals in Oberhausen, DOK Leipzig, the Odessa International Film Festival, 86, Docudays, etc., and were featured at the Institute of Contemporary Art (London), e-flux (New York), and S A V V Y Contemporary (Berlin). Daniil Revkovskiy is an artist working with sociological research objects. The artist creates projects structuring and rethinking materials seen in and collected from urban space, archives and social networks. He created a number of projects in co-authorship with Andriy Rachinskiy. In 2018, they were nominated for the PinchukArtCentre Prize. 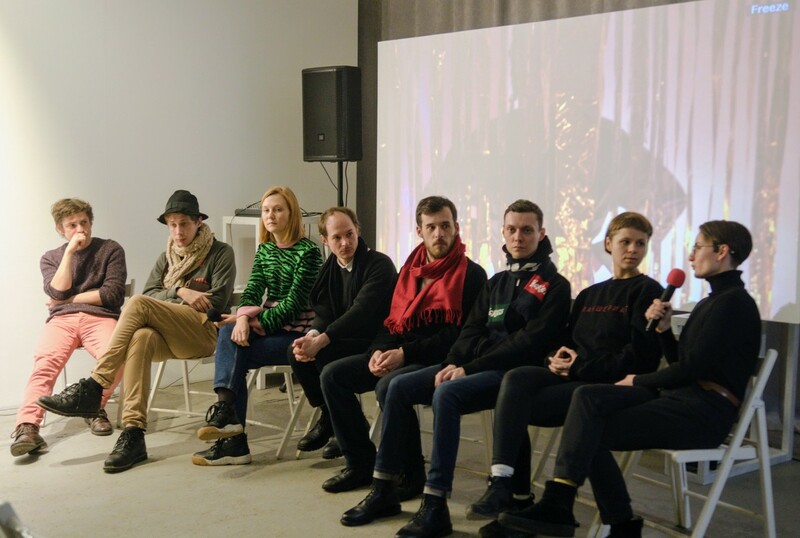 Together with Rachinskiy, Daniil Revkovskiy’s works were shown in the solo exhibitions Soot, Gallery Artsvit, Dnipro (2018), War of Inscriptions, Small Gallery of Mystetskyi Arsenal, Kyiv (2016) and others. Mykola Ridnyi is an artist and film director. In 2005, he became a co-founder of the SOSka group. He acted as a curator of a number of international projects in Ukraine, such as After the Victory (YermilovCenter, Kharkiv, 2014), New History (SOSka group, Kharkiv Art Museum, 2009) and others. Since 2017, he was a co-editor of the online magazine on arts, culture, and society, Prostory. His works were exhibited at the Pinakothek der Moderne in Munich, the Neuer Berliner Kunstverein, the Museum of Contemporary Art in Warsaw, the V-A-C foundation in Moscow, and others. 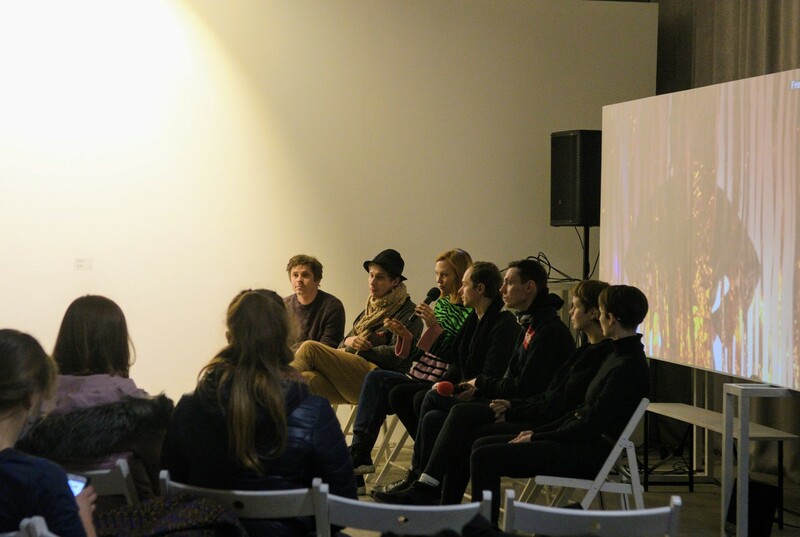 His films were shown at Transmediale, Berlin (2019), Kasseler Dokfest (2018), DocudaysUA, Kyiv (2016) and others. Anna Sherbina is an artist and craft-woman. She works with different media, including painting, video, and audio installations. 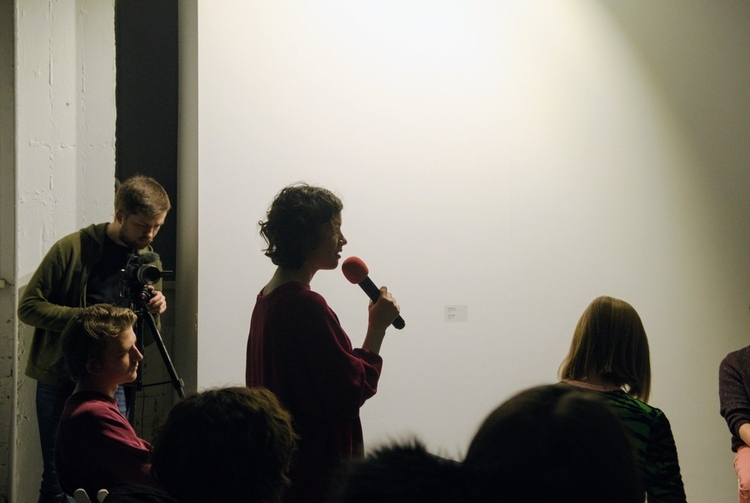 Anna Sherbina is a co-founder and member of the ЙОД Group (2013-2015) and of the Specific Dates Collective (2015-2017). The artist lives and works in Kyiv. She participated in the exhibitions A Space of One’s Own, PinchukArtCentre, Kyiv (2018), Textus, Visual Culture Cente, Kyiv (2017) and others. 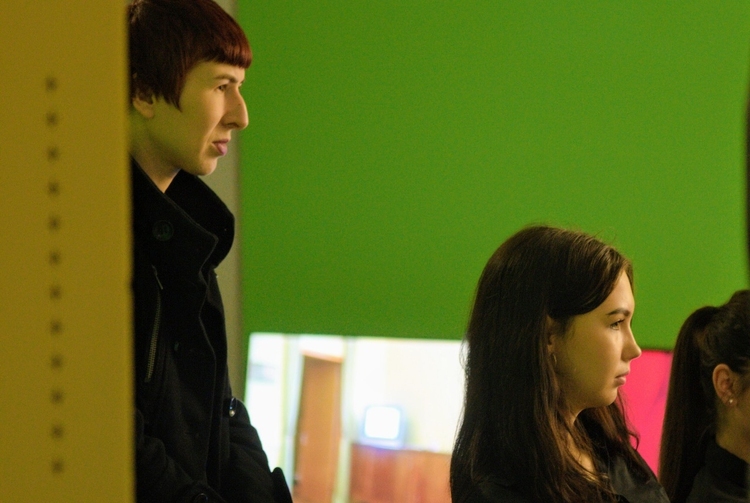 Kateryna Filyuk is a co-curator of the Armed and Dangerous exhibition.